The connecting process should take less than one min normally. To get best conenction, you should keep your phone close (not more than 5m away) to the TV or the adapter . Again, this connection has nothing to do with your wireless router. It is a direct connection between Galaxy S5 and the TV/Miracast adapter. Once the connection is established, you can see your phone screen on the TV immediately. 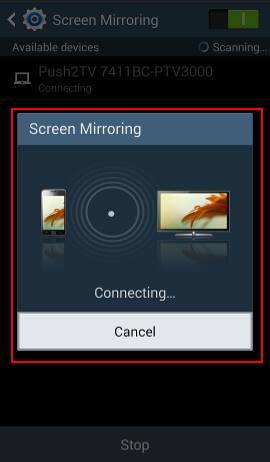 Now you are using Galaxy S5 screen mirroring through Miracast! 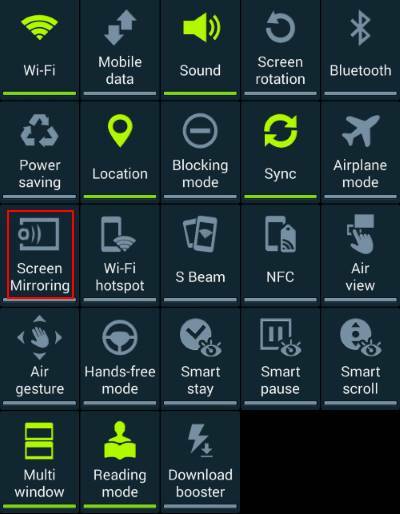 Now you can exit the Settings to enjoy the Galaxy S5 screen mirroring. Anything shown on your S5 screen (plus audio) will be shown on the TV. 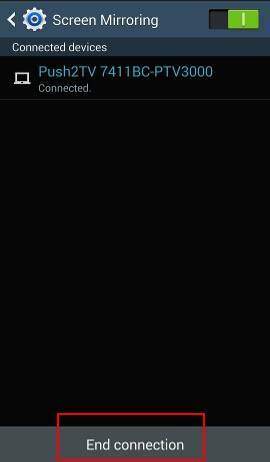 If you want to stop screen mirroring for Galaxy S5, you can swipe down from the status bar in Galaxy S5, tap the notification message as sown below. Then, you will get the following window. Tap End connection to stop Galaxy S5 screen mirroring. 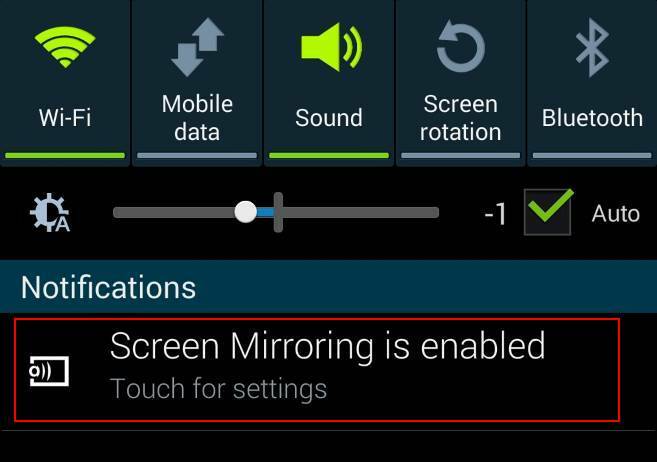 Alternatively, you can stop the Galaxy S5 screen mirroring from quick settings panel as mentioned above. 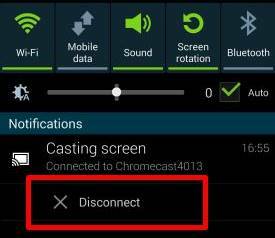 When Galaxy S5 screen mirroring through Miracast is active, in the status bar (top of the screen) you should find at least 3 notification icons: screen mirroring, WiFi direct and WiFi as shown below. have an active internet connection for your wireless router. Please note, Chromecast requires internet connection, even you are just mirror local contents. Internet media streaming with supported apps, e.g., YouTube, Netflix, HBO….. 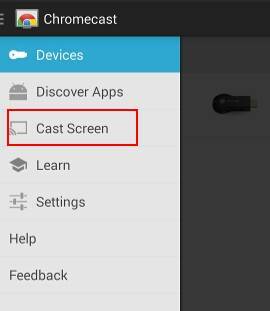 In this guide, I will only show you the new (and beta in Android KitKat) feature of Chromecast: screen mirroring for Android devices. Galaxy S5 is one of the supported devices. So, it is very easy to get Galaxy S5 screen mirroring through Chromecast. 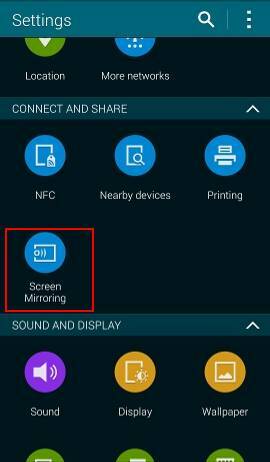 Here is the step-by-step guide on how to use Galaxy S5 screen mirroring through Chromecast. Step 0: Setup your Chroemcast for your local network. 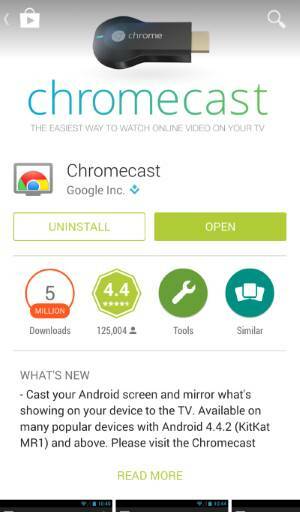 Step 1: Install Chromecast app from Play store. You need the Chromecast app to mirror galaxy S5 screen to TV. 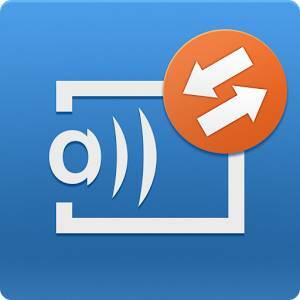 The app also provides the functions of managing or configuring Chromecast in the same network. Chromecast only works with devices that are connected to the same network (router). Please note again, active internet connection is required. You can turn on WiFi from Settings–WiFi. You can also enable WiFi from quick settings. In the app drawer (tap the 16 dots), tap Chromecast to start it. 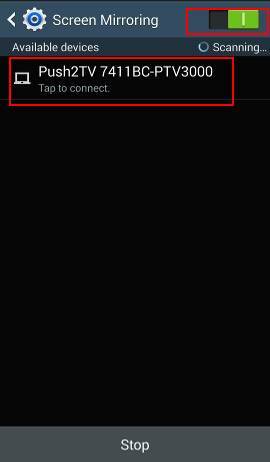 When the app starts, it will search for nearby Chromecast in the same network. 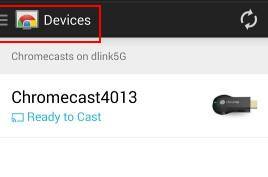 It should take a few seconds to find your Chromecast devices. Tap the menu key in the top left button as shown below to continue. It is NOT necessary to tap the Chromecast device. Tap Cast screen from the drop-down menu to start screen mirroring. To stop galaxy S5 screen mirroring through Chromecast, you can swipe down from the status bar (top of the screen) with one finger. Then, you will find the disconnect option as shown below. Do you have any questions on using Galaxy S5 screen mirroring through Miracast or Chromecast? Please let us know your questions or problems on using Galaxy S5 screen mirroring through Miracast or Chromecast in the comment section below. We will try to help you. When I try to connect – it says obtaining ipp address – says connecting in progress – connects – but when it says to display – it shuts the mirroring off – I used to be able to connect easily but can’t since the latest software update – what can i do?? You may try to restart the phone. If I use miracast and have to have WiFi enabled on s5 how can I then steam using data. My WiFi is too slow to stream using it which is why I want to use my data. You just don’t connect the phone to the router (you can temporally forget the WiFi network). Then use mobile data to stream. Miracast doesn’t require interment connection and it doesn’t care how did you get the content (in device, through WiFi or through mobile data). Then problem is on your S5. If there is an active WiFi connection to internet, it will not user mobile data. So you need to enable WiFi (Miracast needs it) and disable the internet connection through WiFi. The simple solution is to forget the WiFi so that the phone will not use the router for internet connections.